Enjoying a Kolsch from last fall. Looking for spring to come. I used to follow a thread on another forum with pictures of clear beer. I loved that thread. So, I thought I would kick off a similar thread here. This beer is Oz's Munich Hales. 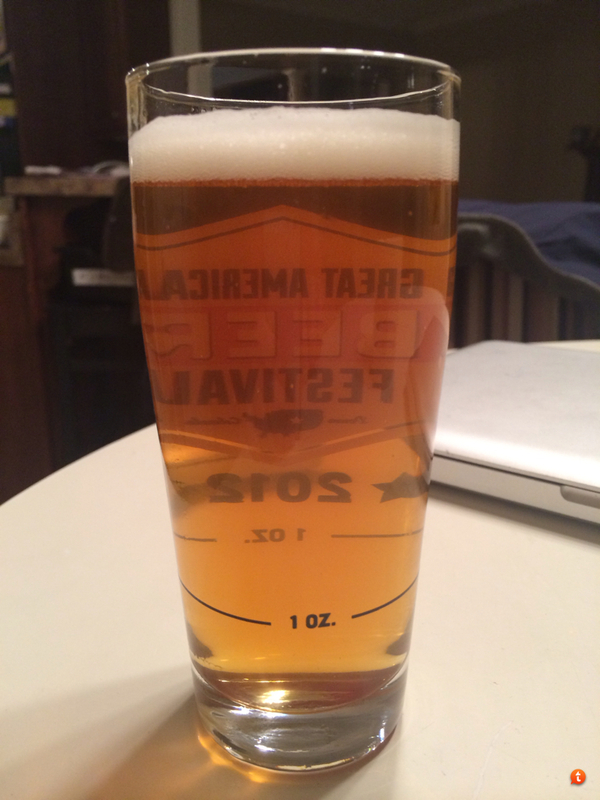 It is a Helles brewed with WLP029. The recipe has 2 lbs of wheat malt. I used 1 Tsp. of gelatin in the keg to clarify. Let's see your clear beer. my kolsch.lagered 6 weeks, no fining...and yes thats my foot and carpet and curtains through the beer. The rug really ties everything together. Awesome ! I love a good Big Lebowski reference. Dude abides ! Let's dig up an old thread...again! 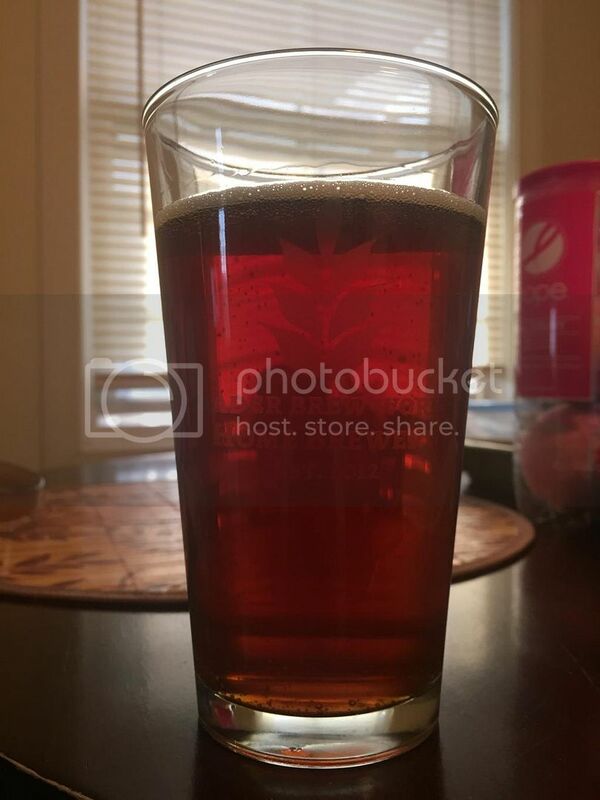 This is my Barleywine that was brewed and kegged about a year ago. It was originally put on tap in October, but was taken off for the holidays. We put it back on tap last month. The keg is very light and is about kicked. Here are a couple pics taken today. It's as good as it looks! 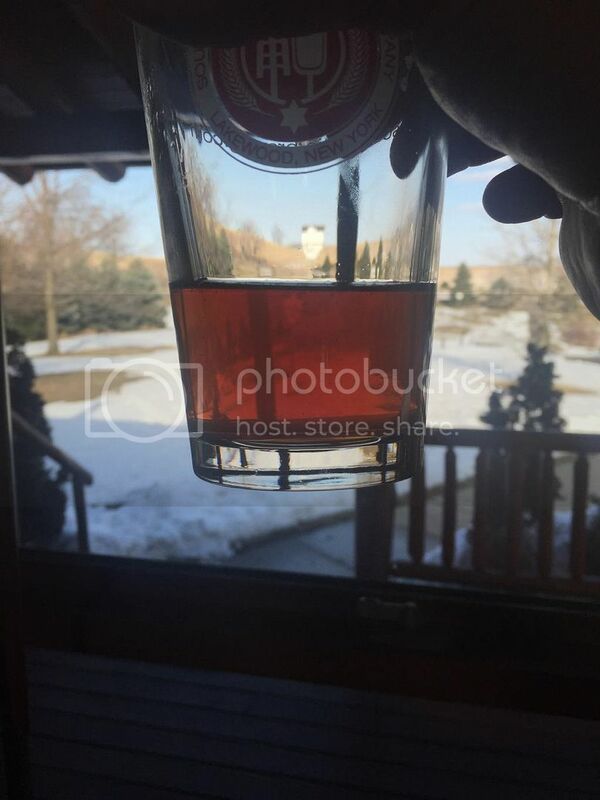 This is my Barleywine that was brewed and kegged about a year ago. It was originally put on tap in October, but was taken off for the holidays. We put it back on tap last month. The keg is very light and is about kicked. Here are a couple pics taken today. It's as good as looks!